It was everything I dreamed of and more. 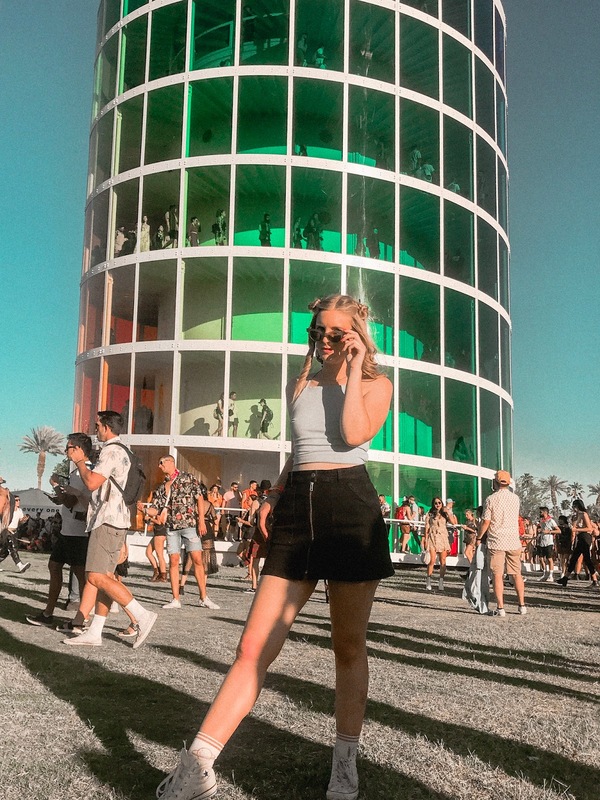 I am writing this with major exhaustion, but I had such a great time dancing along to some of my favorite artists, exploring the cool art installations, and of course doing all the outfit spotting and people watching. I cannot even decide who my favorite act of the weekend was. Ariana Grande obviously brought the house down and closed out the festival in style. Tame Impala was heavy on the groovy vibes. The 1975 and Khalid both got me dancing. Weezer performed so many of my favorite songs from growing up. And Janelle Monae served so many fierce looks during her performance. So yeah, it was a great weekend. 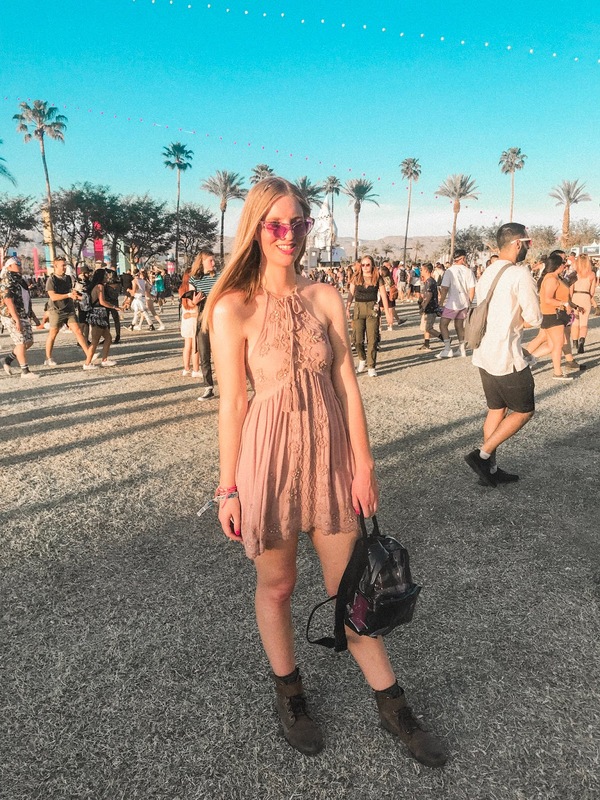 The first day was probably my most Coachella-y, with a fun, sunny outfit with some rave-inspired accessories and beauty. I wore a backless halter top from Superdown with a black denim Madewell skirt and classic high-tops. 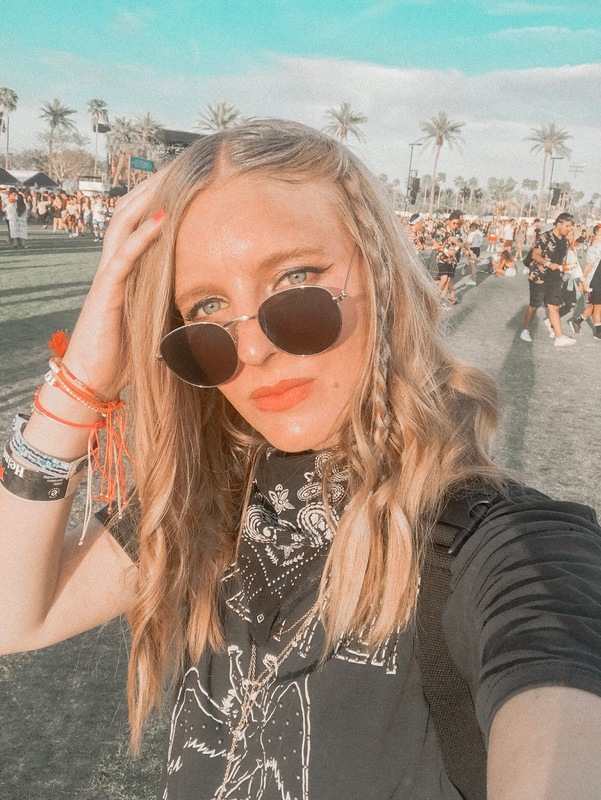 I accented the look with sassy Quay cat eyes, a clear Brandy Melville backpack that I wore all weekend (just the right size for all my desert essentials! ), and little space buns in my hair! I was a little nervous about wearing this top because it's more skin than yours truly usually shows, but one thing I learned is that nobody cares at Coachella and also there will always be someone wearing way less than you! Seriously, I've never seen so many thongs and pasties in broad daylight before this weekend. To each their own, I suppose! I call this look "Festival Fairy". 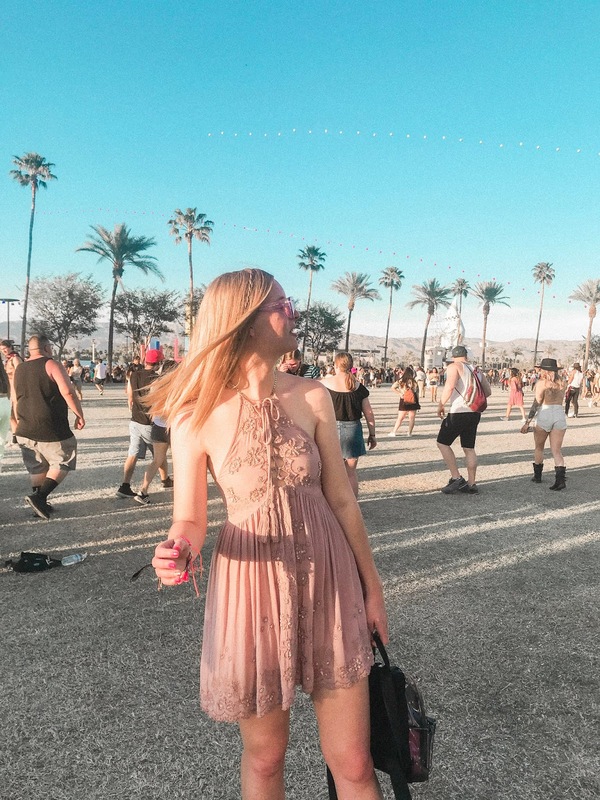 With a lavender Free People dress and 70s inspired stick straight hair with tiny braids, this was my boho look of the weekend. 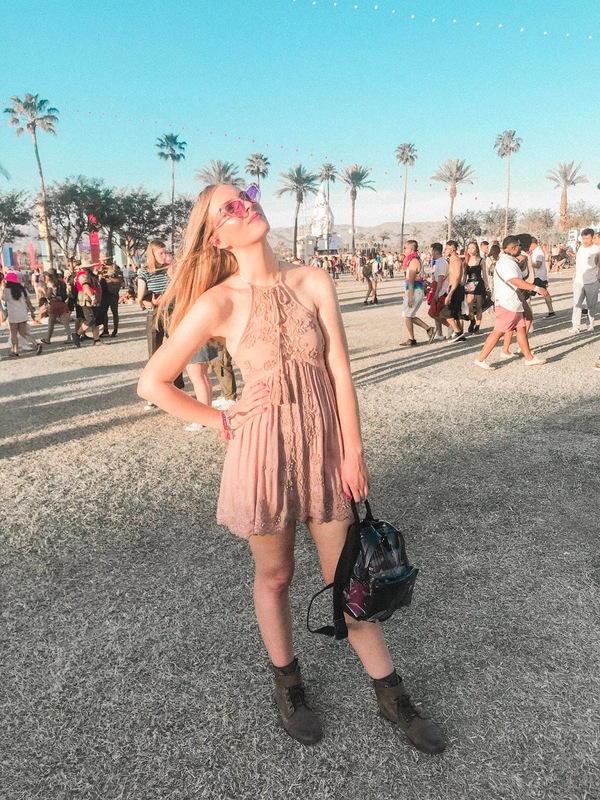 I wore flat lace-up boots and fun purple sunglasses I found last minute at Forever 21 to give the look a fun touch. 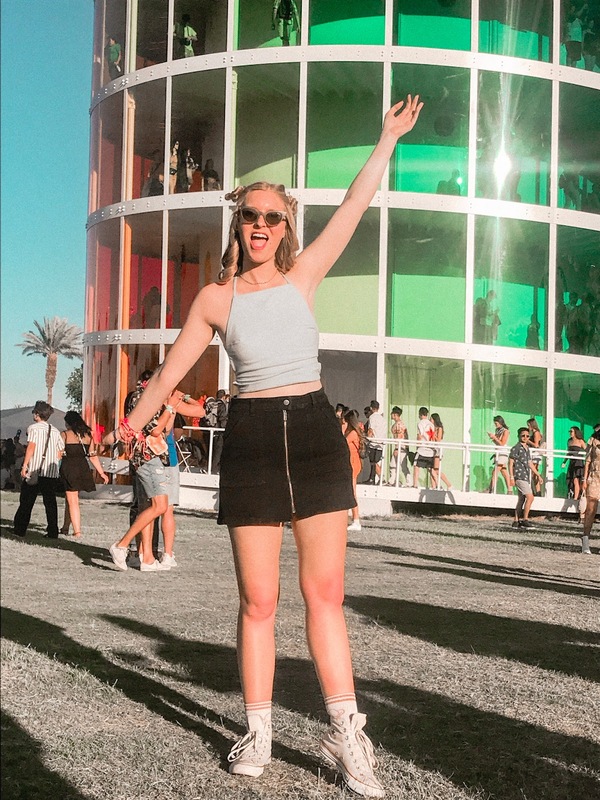 Another festival tip: wear comfortable shoes! I know this sounds self-explanatory, but it will make or break your festival-going experience, especially at Coachella. There is so much walking, not only within the grounds (which are huge) but to and from the shuttle drop-off. ANOTHER tip: DON'T take Uber! The drop-off point is super far away (and you have to walk on really large gravel to get there), the wait times are hours long AND they add surge charges. Fun! 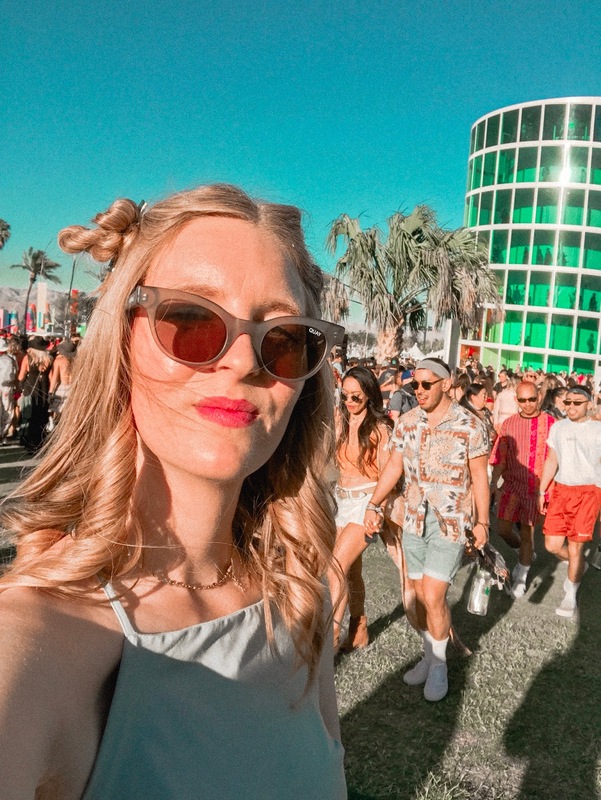 So really, if you are thinking about going to Coachella, make sure to get the shuttle pass and save yourself the headache. By Day Three I knew exhaustion would be setting in, so I planned my most comfortable outfit for this day! 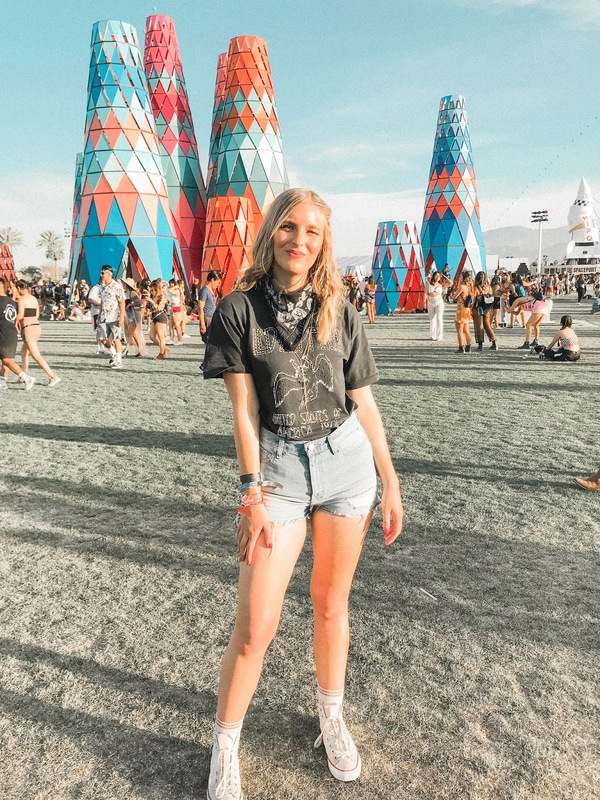 I found this really cool embellished Led Zeppelin T-shirt on Revolve and paired it with a classic pair of high-waisted jean shorts. I had a lot of fun with the accessories this day, layering a multi-chain necklace and a bandana (make sure you bring plenty of these for dust flare ups!) a rainbow bracelet stack, cool sunglasses, and metallic purple hair glitter from IGK! 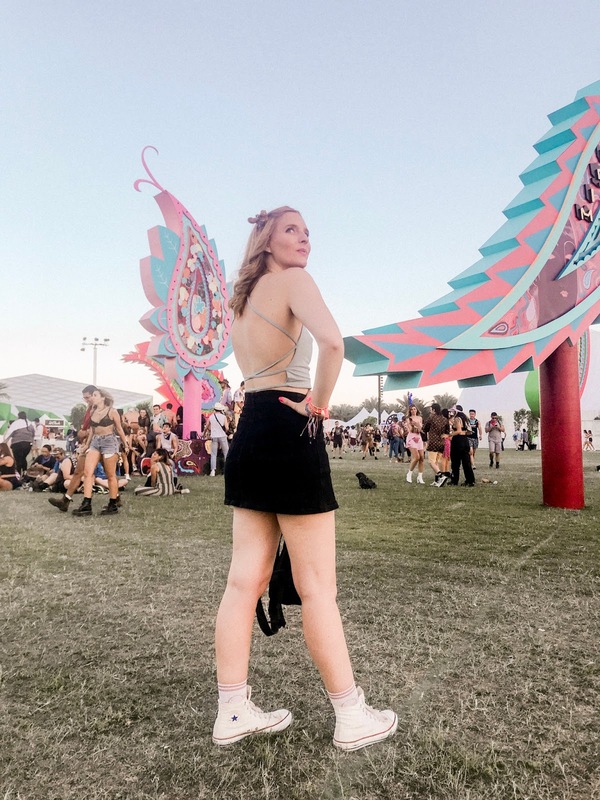 The perfect outfit for dancing all night and staying until queen Ariana Grande shut down the festival! 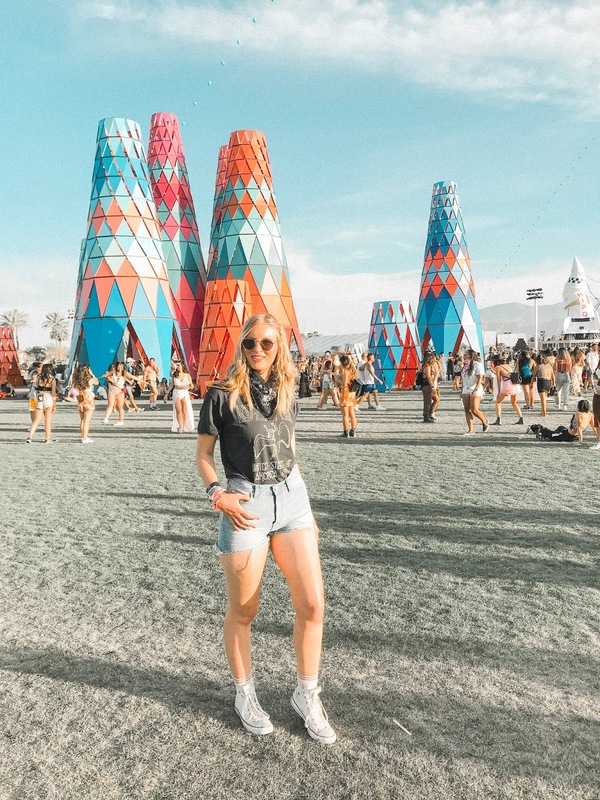 Have you gone to Coachella? 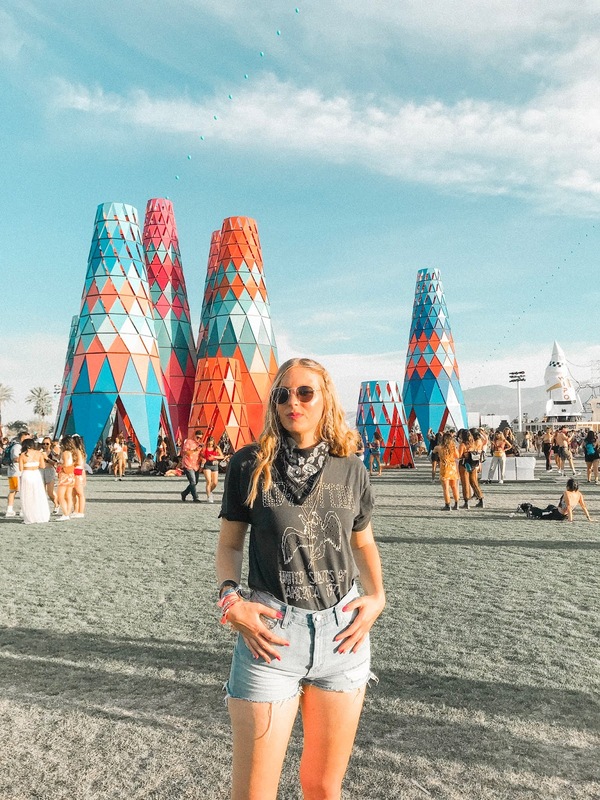 What are your thoughts on festivals? Let me know in the comments!